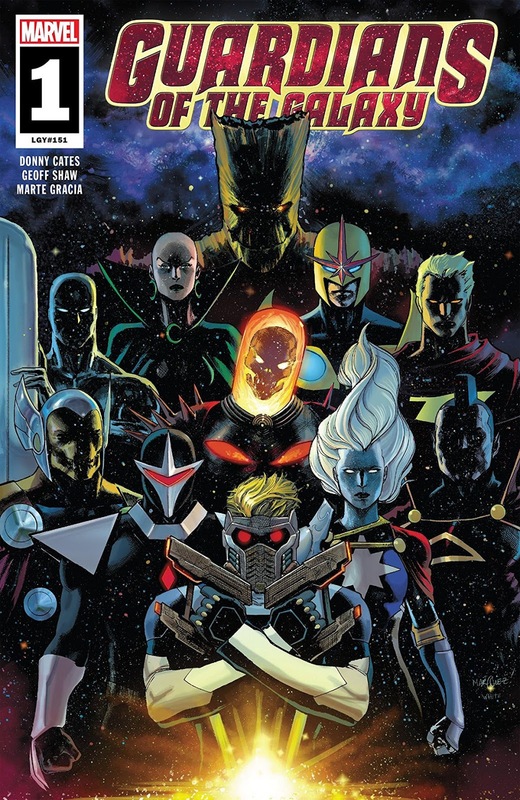 Matt C: I really bought into the rejigged version of Guardians Of Galaxy that launched back in 2008, having been thoroughly taken with what writers Dan Abnett and Andy Lanning had been doing with Marvel's cosmic pantheon in titles such as Annihilation and Nova at the time, but after they departed I followed suit, and even the brilliance of James Gunn's cinematic iteration of the characters in two sterling entries to the MCU failed to keep me on board with the comics as various other creators did their thing. I'm ready to come back though, and that's primarily down to the creative team of Donny Cates and Geoff Shaw, who had such a barnstorming stint on Thanos (which, of course, introduced us to the thrilling madness of Cosmic Ghost Rider). They convinced me they can go full throttle on intergalactic adventures so I'm there for the latest relaunch. That's Marvel's big book of the week but over at DC it seems Brian Michael Bendis is continuing to make his presence felt at the publisher. We've been singing the praises of both Pearl and Cover here since they launched but, alongside the latest instalments of both those series, this Wednesday also sees a new book in the form of Naomi #1. This isn't a Jinxworld title - it's set in the DC Universe and is released under the 'Wonder Comics' banner, which is Bendis' place to produce teen-oriented content; clearly I'm not the target market for this, but I'm curious all the same after spotting a few preview pages. DC also have the latest issue of Batman, and we're never going to stop raving about that title, not until everyone is picking it up, and to be honest, not even then!